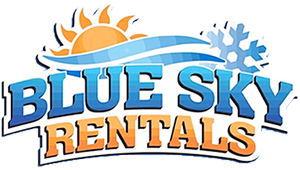 Daily Rentals are from 10 am through 9 am the next day. 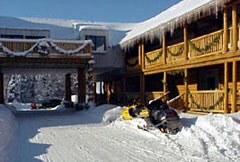 Accommodations at Drummond Island Resort are unique and plentiful. Our golf pro shop transforms into our Winter Sports Center each winter, where we have cross country skis, snow shoes, ice skates and tubes (all free to guests). 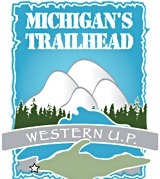 In addition, we rent 10 Arctic Cat snowmobiles where guests enjoy nearly 100 miles of groomed island trails and access to the International Ice Bridge which connects Drummond Island to Canada. The Lodge has unique wood construction rooms with telephone, televisions and small refrigerators. Our larger “loft” rooms feature 2 beds on the first level of the room, and a third queen bed up in a loft (perfect for families and small groups) Waterfront cottages and log homes are also available for rent on a nightly or weekly basis. Most of these executive-style units feature full kitchens, fireplaces, living rooms, color TVs and telephones and private bathrooms in every bedrooms.